According to a survey recently conducted by Capacent Gallup, the overwhelming majority of the Icelandic public is in favour of utilizing wind energy in Iceland. Until now almost 100 percent of all electricity in Iceland is been generated by hydro- and geothermal power plants. However, Iceland recently took the first steps towards harnessing its wind resources for electricity generation. 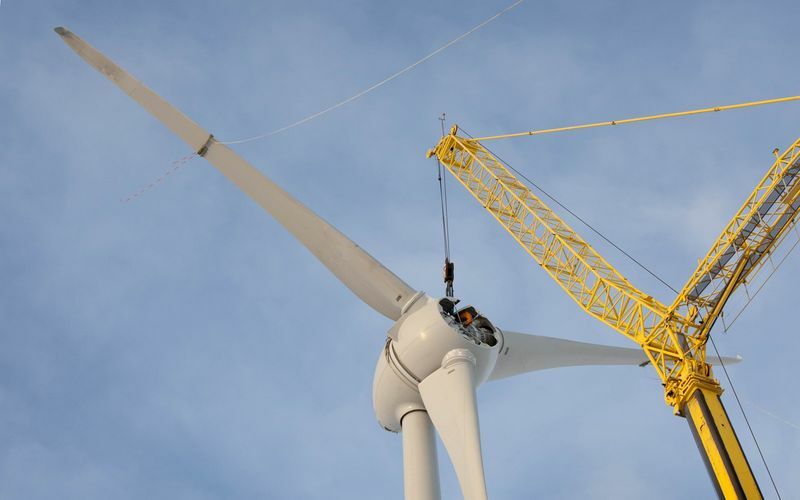 The operation of two research wind turbines, which were constructed in December 2012 in South Iceland, has so far been successful and has highlighted the potential for energy generation, via wind energy, in Iceland. According to a new survey conducted by Capacent Gallup, the overwhelming majority of the Icelandic public is in favour of raising a wind farm in Iceland (around 81% of respondents were positive). Support is overwhelming with over half of the respondents stating that they were either very supportive or completely supportive of the idea. Only 7% were against the idea. Now the Icelandic national power company Landsvirkjun intends to continue its research and has hopes that wind energy could become the third pillar in Landsvirkjun’s operations. The next step includes the assessment of the Hafið area and neighbouring areas to ascertain the feasibility of a wind farm. The generation capacity of the area must also be assessed and differing proposals for wind farms put forward. Considerations would include social and environmental implications and the feasibility of such a development and its operation. Hydropower and geothermal power will continue to be the two main pillars of electricity generation in Iceland, offering very stable production. However, wind energy is an interesting third option for Landsvirkjun as it offers the possibility of utilising the flexibility of hydropower to balance the fluctuations that accompany wind power. The project is twofold; consultancy services for the project design and consultancy services for an environmental impact assessment. The Icelandic engineering company Mannvit will provide consultancy services pertaining to the environmental impact assessment. Mannvit is working in cooperation with the Norwegian consultancy agency Ramböll Ltd. and Icelandic firm Landslag Ltd. The project design is under the auspices of another Icelandic engineering company (Efla) which is in cooperation with the Swedish consultancy agency Pöyry SwedPower Ltd. and the Belging institute for meteorology. The project will be executed between 2013 and 2015. The evolution of wind energy has been rapid worldwide and extraordinary progress has been made within a relatively short period of time. 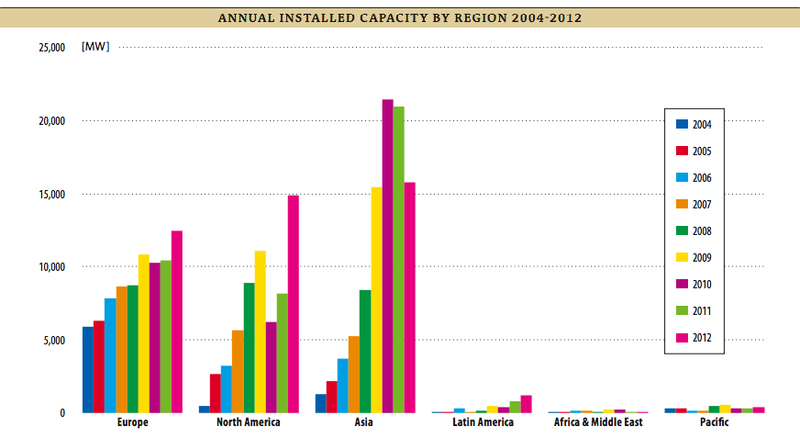 At the end of 2012, over 3% of the world’s electricity supply was sourced from wind energy. At the same time, financing and operational costs have decreased significantly and this trend promises to continue. The World Wind Energy association (WWEA) predicted that the installed capacity of wind turbines would double worldwide before the end of 2016 and that installed wind capacity could reach one million MW, matching the installed capacity of hydropower today. Conditions in Iceland are unusually favourable for the utilisation of wind energy. Wind research shows high levels of wind power at a relatively low height above sea level. This increases the feasibility of utilising wind energy as the masts could be lower than usual, which would in turn lower costs. Construction takes a short period of time and wind farms can be built in phases (according to need and market demand). The environmental impact of wind turbines is relatively low and completely reversible. The visual impact is a reality and the choice of location is therefore an important consideration. Wind velocity is at its highest during the winter period when there is a decrease in flow to the Landsvirkjun’s reservoirs; the possible synergy of wind and hydropower is therefore high. More information about the project can be seen on the website of Landsvirkjun.